COLCHIS: Armenia is a Russian ally and EEU member, so how did it pull off a democratic revolution? 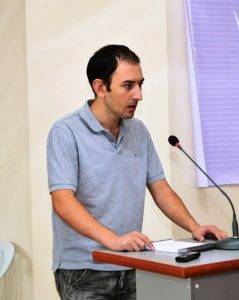 Tigran Grigoryan is a political analyst and political activist from Nagorno-Karabakh. He has worked as a political commentator for outlets like Lragir.am, 7or.am, ”Analyticon” monthly journal, etc. Tigran was the editor-in-chief of Artsakhnews.am from 2012 to 2014. Tigran Grigoryan is one of the founders and leaders of the National Revival Party, which is the only opposition party in Nagorno-Karabakh. Tigran was awarded the British government’s Chevening scholarship in 2016 and received his Master’s degree in Conflict, Governance and International Development in 2017 from the University of East Anglia. Tigran’s main research interest is democracy and democratic transitions in the world. He keeps a close eye on the political developments in the FSU and the South Caucasus region in particular.